Cody Bellinger left Monday's game after taking a fastball to his knee. Cody Bellinger’s scorching start to the season may be halted by an errant fastball. 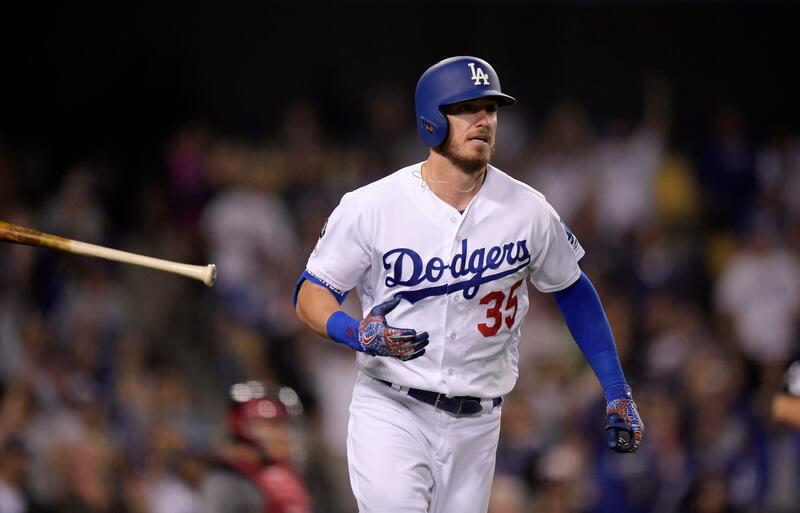 The Los Angeles Dodgers slugger left Monday’s game against the Cincinnati Reds after a 95 mph Luis Castillo fastball drifted inside and hit him squarely on his right knee in the bottom of the third inning. Bellinger took first base and attempted to stay in the game, but was replaced in right field by Alex Verdugo in the fourth inning. Bellinger entered the night as the National League leader in batting average, home runs and RBI. Entering Monday, Bellinger was was posting a .424/.500/.909 slash line with 9 home runs and 22 RBI in 17 games.